French-owned Carrefour Express has opened another convenience store in Romania, and FREOR has contributed to the project by providing refrigeration equipment. There were FREOR refrigerated vertical cabinets installed in the sales area, and also hydro-aggregates provided for the cold rooms. Hydroloop Glycol system – a refrigeration system, in which excess heat is removed via glycol line, was installed as well. 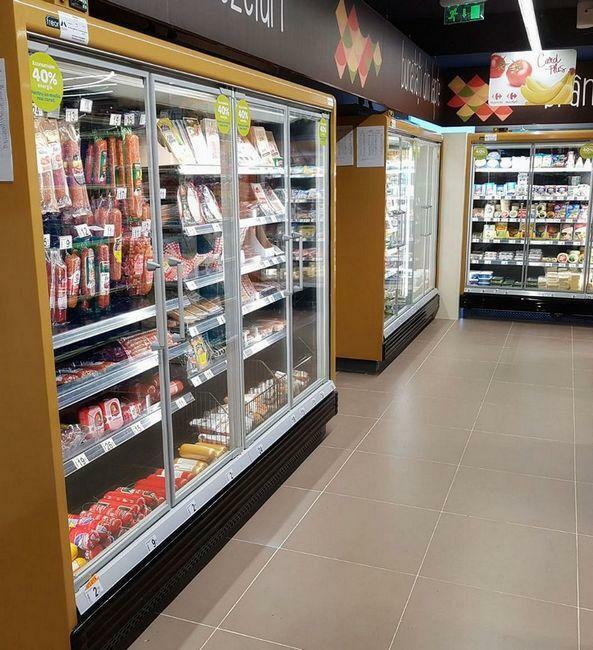 Carrefour Express store has chosen refrigeration solutions based on their intentions to go green. 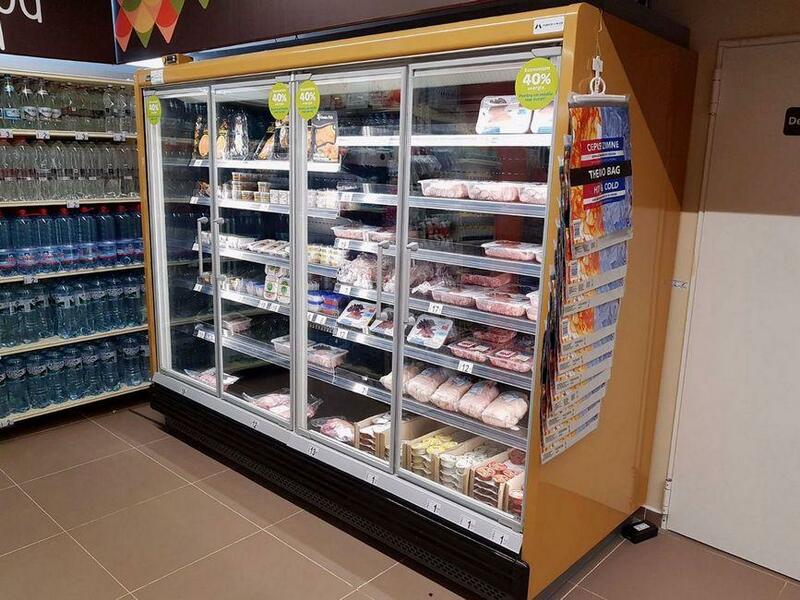 All refrigerated display units operate on energy efficient and environmentally friendly R290 (propane) refrigerant. 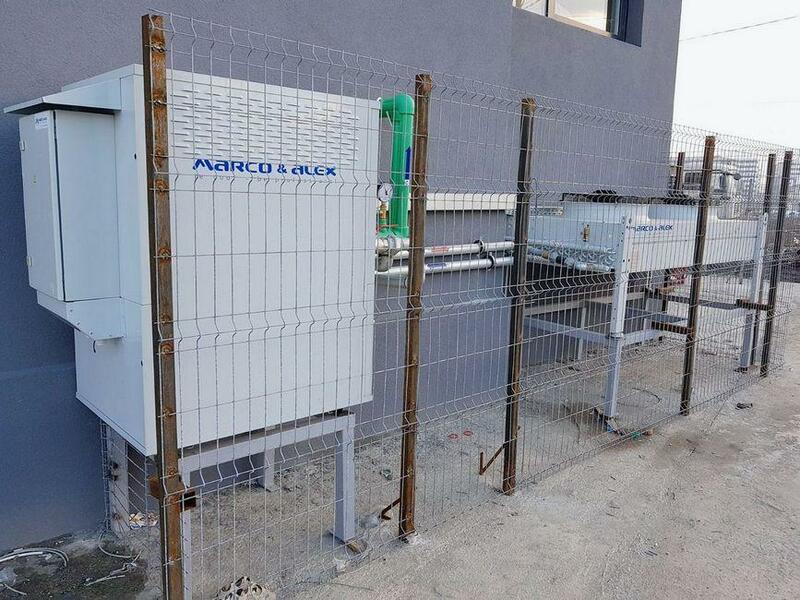 FREOR`s official partner in Romania Marco & Alex has installed Hydroloop Glycol system at the store, connecting multidecks JUPITER, freezer ERIDA and hydro-aggregates for cold rooms to the same glycol line, the circulation of which is ensured using pump station. Hydro-aggregates, which are fitted with compressors and plate heat exchangers is a compact space saving solution as they can be mounted on the top outside the cold room with no additional space required or placed in the technical room. 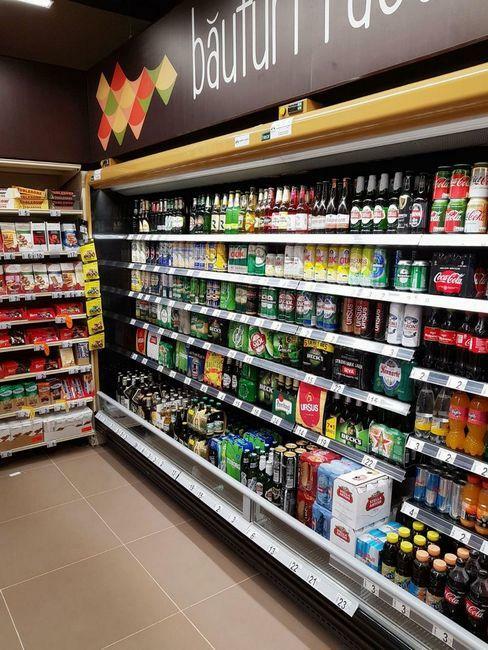 The Hydroloop system from FREOR is ideal for small supermarkets or petrol station stores. 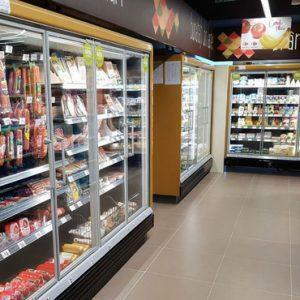 This environmentally-sustainable solution allows removal of excess heat from the shop through environmentally-friendly glycol line and additional use of the heat for warming up the water or heating up the store in cold season. Carrefour is a French multinational retailer, one of the largest hypermarket chains in the world, currently operating more than 12 200 stores in over 30 countries worldwide. Carrefour Express was created in 2007 to consolidate all convenience stores owned by Carrefour worldwide under one name and in 2008 it started to expand in Romania. 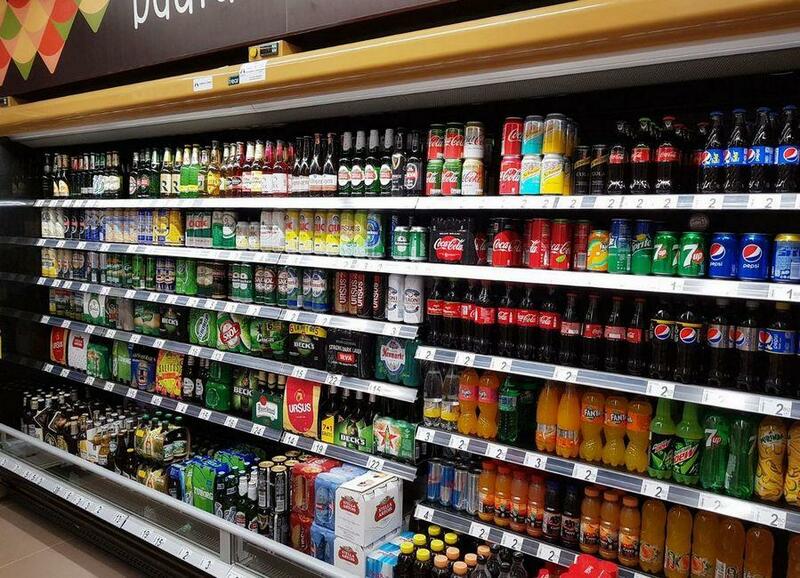 At this moment it unites around 56 convenience stores in this region and holds a top retailer position countrywide. 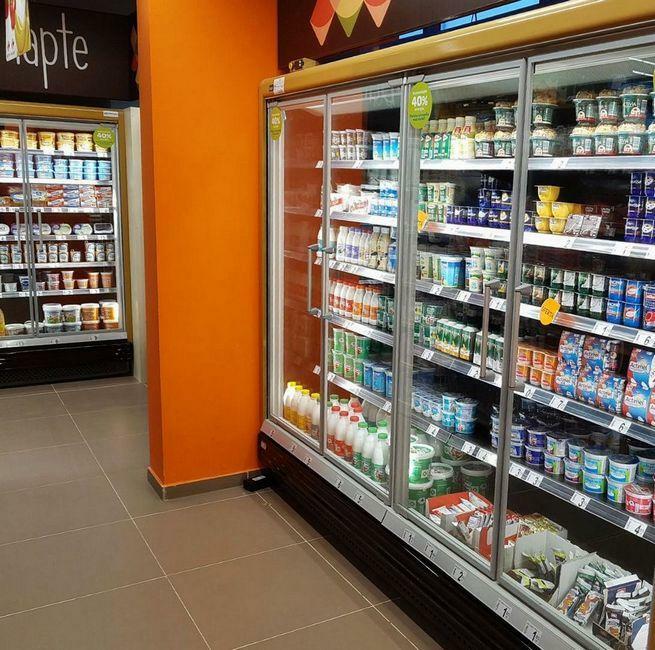 Carrefour follows strict standards to optimize their stores in a more environmentally friendly way by implementing new technologies, designed to tackle energy waste and use natural recourses. 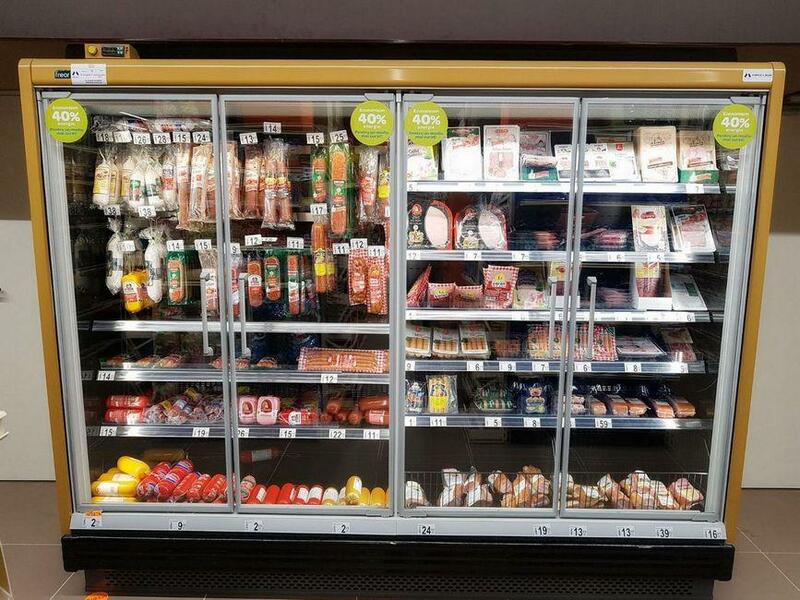 FREOR was happy to respond to the store’s “go green” intentions by supplying equipment operating on natural R290 refrigerant and installing environmentally – friendly Hydroloop Glycol cooling system. Find out more by reading the article.